Lyle J. Burdine, M.D., Ph.D.
Oct. 30, 2017 | LITTLE ROCK — Lyle J. Burdine, M.D., Ph.D., has joined the University of Arkansas for Medical Sciences (UAMS) as a kidney, liver and pancreas transplant surgeon. Burdine also serves as an assistant professor in the UAMS College of Medicine’s Department of Surgery. Burdine will perform kidney and liver transplants, as well as combined kidney-pancreas transplants. UAMS is the only center in Arkansas that offers adult liver or kidney transplantation. Burdine said there have been big advances in the transplant field. Burdine obtained bachelor’s degrees in chemistry and philosophy from Duke University and an M.D./Ph.D. from the University of Texas Southwestern Medical Center. 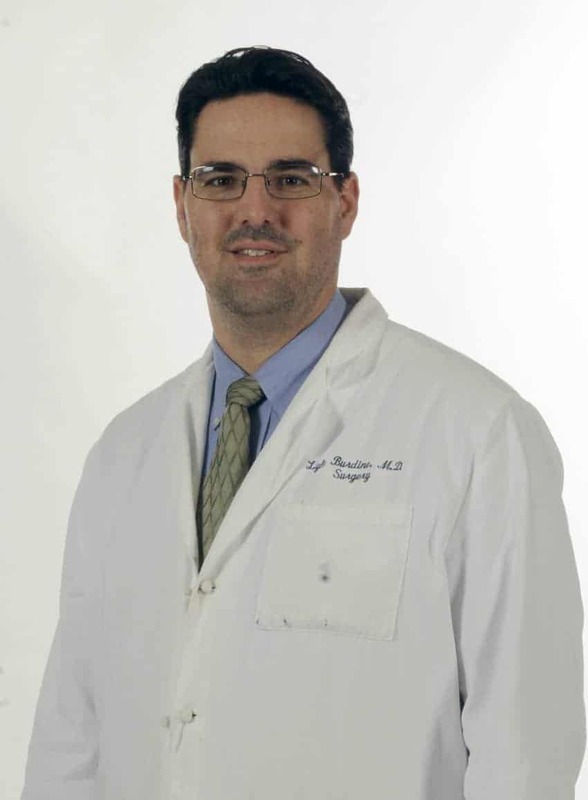 He completed his residency in general surgery at UAMS and a fellowship in abdominal transplants from the University of California San Francisco.